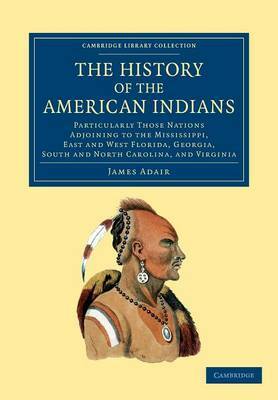 A trader who lived and worked for four decades among Native Americans and became a keen observer of their languages, customs and politics, James Adair (fl.1735-75) studied the Catawba, Cherokee, Muscogee, Chickasaw and Choctaw, compiling extensive ethnographic information. Upon publication in 1775, this work was unique in its treatment of these peoples as well as their interaction with white traders and colonists. The book also propounds a theory, popular at the time, that the ancestors of Native Americans were the lost tribes of Israel; as such it remains a valuable source for the history of this idea. In part autobiographical, the work reflects Adair's involvement in trading, local politics and warfare with the British and French. His observations remain of great interest to scholars of American history and ethnography.